Morning Luvs. 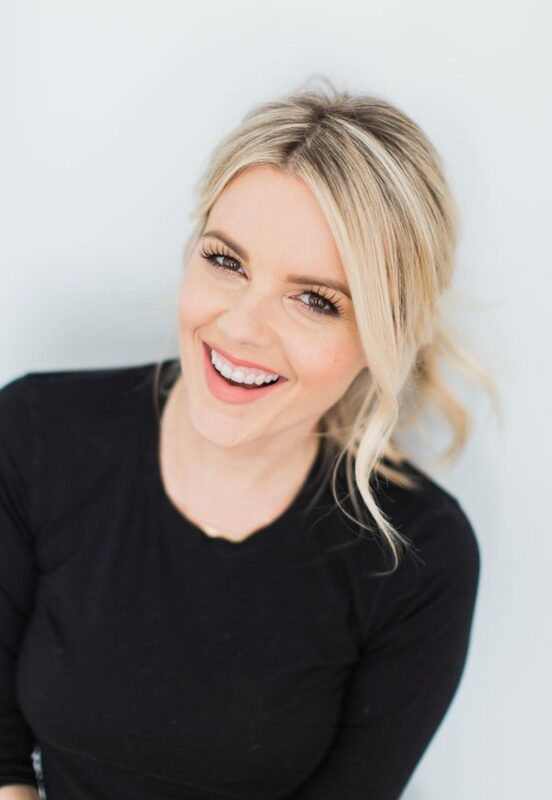 So many of you are always asking me what my products I use now that I’m a mom. Usually I share my favorite mom gadgets or products that Molly absolutely loves. But today I want to share something with you guys that I haven’t really talked about yet, the natural products I use in my home. I first started thinking about using all natural products when I got pregnant with Molly. I remember filling up my bathroom trash can with deodorants and makeup that had all sorts of chemicals in them. I immediately switched over to all natural make up, deodorant, soap and cleaning products. Do I always use all natural? Well no, I have some other products that I can’t live without and still use. But for the most part, I’d like to keep the majority of the products in my home toxin free. Not only because little Molly is running all over our floors and putting her hands (and mouth) on everything, but also because we want to try for another baby soon and I want to make sure that I’m not using products that could potentially be harmful to me and a future baby. So let’s go back to when I was pregnant with Molly. I remember constantly Googling and searching for products that were safe for me and her. Sometimes I would find some great products, but I’d have to order them from 5 different websites and pay for 5 different shipping costs. Then I stumbled upon Grove Collaborative. They initially hooked me because they have incredible free offers for new customers! But after my first shipment I became a longtime fan and user. 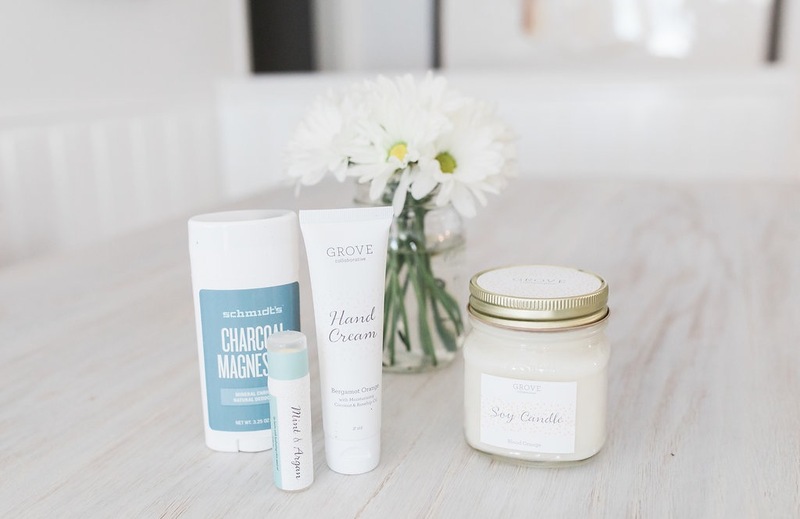 What I love about Grove is that absolutely everything on their website is natural/organic. 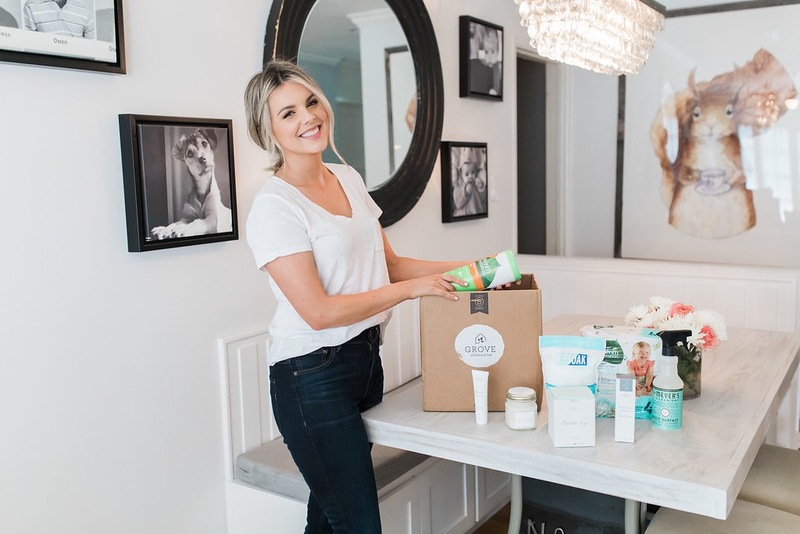 They not only carry home products, like all purpose cleaner‘s and laundry detergent, but they also carry personal care items like deodorant and baby items, like diapers and wipes! I just find it so convenient because I know every single thing I order from the site is natural and organic. Whereas, when I used to buy things from other sites, I’d have to search and read all the ingredients to make sure it’s organic and natural. 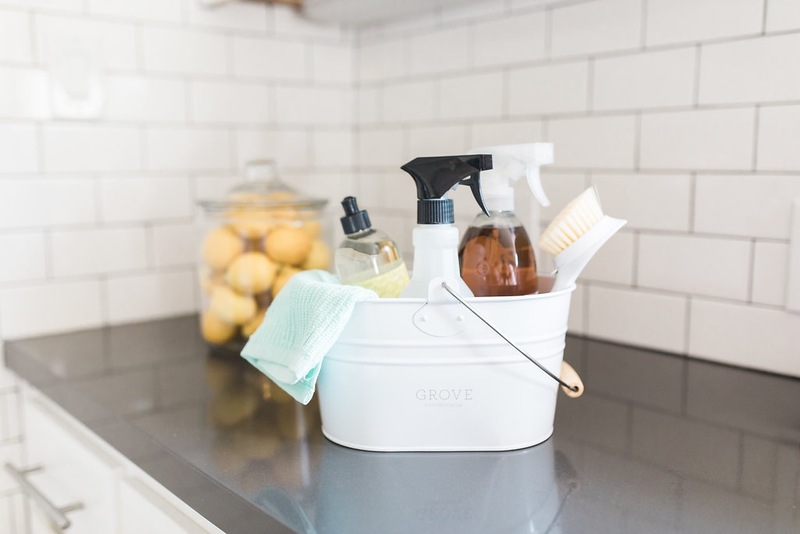 Grove takes all the guesswork out for me and that saves me a lot of time. My absolute favorite product on the site that I discovered is their Schmidt’s charcoal + magnesium deodorant! Search for it on their site! I’ve been looking for a really good natural deodorant because I know I’m gonna need to start using one again if we get pregnant soon. Fingers crossed! (I know I know. I’m getting a head of myself.) With my first pregnancy, I remember having such a hard time finding one that actually worked. Their charcoal deodorant is the best! If you guys get it, let me know what you think. I’m also such a big fan of the Tom’s of Maine mouthwash. It doesn’t burn my mouth and I feel good about using it. Molly will use it one day too! And speaking of Molly, I buy her toothbrushes from Grove too. She uses the Radius Pure Baby toothbrush. She LOVES to chew on her toothbrushes (which is basically the only way I can “brush” her teeth) and it makes me feel good knowing that she isn’t chewing on toxic plastic. When I choose a product on Grove, I know it’s safe for her. I love that piece of mind. You could also subscribe to items so they’re delivered to you every month so you never run out and never have to remember to re-order! I’m always forgetting to order things last minute, so the subscription option is super helpful to me! And I’m super excited to tell you guys that I’ve actually partnered with them to give you guys a free offer valued at over $30! If you’re a new customer and you order HERE and spend over $20 on your first order, you will get a free Mrs. Meyers hand soap, Mrs. Meyers dish soap, Mrs. Meyers multi surface spray, a Grove bubble brush set all with free shipping and a free VIP trial! That’s a pretty sweet deal to get all that stuff for free for only spending $20! And if you’re already a Grove customer, don’t worry you’ll get something too. By clicking my links in this blog you’ll get free walnut scrubber sponges with your order! Oh, and I heard a rumor that a free glass spray bottle also pops up in your cart if you click my link too! It’s crazy how much stuff you can get for only $20 if you order with this link now! It seems too good to be true but I promise you it’s not! How cool is it when things that seem to be good to be true are actually true! I hope you guys end up loving Grove Collaborative as much as I do. I know a lot of mommies read my blog and I know you guys want the absolute best for your kiddos but don’t have the time to be searching the internet to find the products you need. And really don’t have the time to go to the store to search for them either! So I hope this blog saves you all a little bit of time today and gives you peace of mind! Let me know what your favorite natural products are in the comments below! I love learning from other people and other mommies about the things they like to use in their homes! Hi Becca!!! Check out 100% pure and mineral fusion makeup. Mineral fusion is my favorite for more coverage- any products you want to check to see how pure they are- cosmetics, cleaners, etc. can be done by going to EWG online – it’ll amaze you what things you learn about the products you use by looking them up! Have you ever tried Beautycounter? It’s a great safe makeup and skin care line 🙂 you would love it!! I recently became a consultant and would love to share more information with you!! I love Schmidt’s Charcoal + Magnesium deodorant! It’s my favorite all natural deodorant and it actually works! It’s sooo good! Finally one that works right?!? How long does the container or stick last? Mine last over a month. Maybe even 2. I can’t remember exactly. I’d say the same as any deodorant. Im new, very new to using better, non toxic products. Deodorant is one thing that i desperately need to use. I currently buy the clinical type deodorant. How well does the charcoal magnesiun deodorant work compared to the “typical” brands you buy in a store? I love their rose and vanilla but it can stain my clothes – does the charcoal and magnesium do that at all? I try to keep as much natural stuff in my home as possible. This is fantastic, because I’ve had the hardest time finding a natural deodorant that works, and I do hate having to order natural products from a million different websites lol So I really appreciate you doing this post and sharing this! Awww thanks Nicole. I am soooo happy this is going to help you out! It was a lifesaver for me and took the guess work out of everything. Hi there! Thanks so much for this post….so important for a household with kiddos! Random question: What type of countertops are in your kitchen? They look like the type I’m searching for (so done with the little tile countertop in my kitchen), just don’t know what they are called! To the post above me: I love 100% Pure makeup brand…all natural ingredients and they smell amazing! I don’t know what my counter tops are!!!! I’m guessing quartz but I don’t really know. You do get a free glass spray bottle : ) this was a great find for me, I use all these products anyways! Thank you! Awesome!!! So glad this was helpful for you. And you got a ton of other free stuff on your order right? It’s soooo worth it and helpful! Thanks for the suggestion! I will check out that book! This is great! My husband and I try to use as many all natural products as possible and didn’t know there was a site that made it that easy! Thank you for sharing! Hope you will share some of the natural beauty products you use some time! Hi Ali! I recently switched to Schmidt’s and love it! I was worried that it wouldn’t love up to my old deodorant, but I’ve been pleasantly surprised and will never go back. I’d love to hear what natural makeup products you use. My Husband and I sadly lost our first child, and we are finally cleared to try for our rainbow baby. Naturally I’m now extra concerned not only about what I’m putting in my body, but about what I’m putting on my body and face too. I love to hear suggestions from what other people have tried and like. Thank you!! I’m so sorry to hear that. I totally get being overly cautious. But I’m sure it was NOTHING you did. HUGS. I use Tarte cosmetics. I use their foundation and love it. I want to try this brand! It seems like I’ve tried every natural deodorant out there and my under arms are always red when I use them 😑 Does anyone else have these issues? Schmidt’s deodorant “lavender” scent actually burnt my skin and left red patches. I’m still waiting for them to clear and struggle with trying anything new for awhile! Any thoughts/suggestions? Just a suggestion, but witch hazel is wonderful for irritated skin. I’d pour an ounce or two in a lid or bowl AND add a few drops of tea tree oil. That will also help relieve skin irritation. If by chance you’ve got any infection or fungal issue because of the way the skin in your armpits cause it to rub & brush into itself, the tea tree should clear it up rather quickly! NOTE: post delivery stitches or even just soreness. Don’t spend a fortune on Tucks type pads etc. Just use cosmetics squares or rounds dipped in witch hazel…which is precisely what’s IN the name brand rounds, minus the additional chemicals! I’ve been trying to get my husband to switch to an all natural deodorant. Would you recommend the Schmidt’s charcoal magnesium deodorant for men as well? I don’t see why not. It has “crystals” in it that exfoliate too. So it probably feel good for men. My skin took some getting used to it, but it was worth it because it works! Awesome. You’ll love using the site. Hope you love the deodorant! It’s kind of exfoliates too! You’ll see what I mean when you get it. SO it takes some getting used to, but it works! 🙂 Thanks for the response Ali! I love your blog, so fun and informative! You need to check out Norwex products. You only use water to clean and on your body so ZERO chemicals (even the organic ones). The clothes are impregnated with silver (a natural antibacterial). I have used primarily this only in my home and will never use anything else epsecially on stainless steel and windows. Seriously stream free! You need to buy them through a rep (and no I am not one so there is no personal gain….I am busy enough being a pediatric nurse practitioner and mom 😜)! Research their website! I also switched to safe products when I got pregnant and have been using natural products as much as possible afterwards too. I also love shmidt’s deodorant! It’s the only natural deo that I’ve tried that actually works. Another safe cosmetic line I use and enjoy is Beauty Counter 🙂 Thanks for the information in your blog, it’s so helpful. Yay! So happy you liked the blog post! And it’s cool to see others like the same products that I do! I used the Grove Collaborative All Purpose Cleaner Concentrate. I got the free glass bottle when I signed up, so I put the concentrate in the bottle with water. I love it! This sounds like a wonderful company. Thank you for sharing with us!! I shop on a budget too! Which is why I fell in love with this site. So happy it was helpful to you! I live in a hot and humid climate. I’d love to switch to an all natural deodorant, but I’m worried how it would hold up for a whole work day. Also, is it effective enough for workouts? I mean, I’ll be honest is not as effective as the chemical filled stuff (how could it be). But it’s the best natural one I’ve found. And works great for me! This company is so fantastic – what a great idea! I need to find an online site like this in Australia! Thanks for this great post Ali. But i love the Mrs. Myers products…and the basil scent is amazingggg!! ohhh bummer!!!! Maybe they will soon! I have tried their foundation but it didn’t work well for me. Love this post! Thanks for sharing. Where is your lil dish scrubby brush and white holder from? I think the holder is from Target but the brush is from Grove Collaborative. Hey Ali! Dying to know what skincare products you used while pregnant and breastfeeding. Thanks! Have you ever heard of DōTERRA Essential Oils? They carry 100% Pure CPTG (Certified Pure Therapeutic Grade). They have oils that are for babies up Thru elderly. Take topically,aromatic, & orally. They have cleaning products & the have great skincare line Verage. One of their great products is On Guard comes in oils, Soft Gels ,toothpaste, hand soap, hand sanitizer, detergent, cleaner products safe for pets & Kids. ON GUARD is used for Auto immune, killing bacteria & disinfectant. You should look into it also, great for whatever ails you , Nature’s solution to medication. There have been so many bad reports about Tom’s products lately. They aren’t exactly as described. What do you know/think about that? Hey! i would totally suggest downloading the app “Think Dirty”. You can scan all of your products and see how safe they actually are for your kids! There were so many products that i thought were safe to use around my daughter that i then found out were terrible! I have been using grove.co for a few months now and it’s absolutely fabulous. So glad you shared so others will love it too! I️ can’t figure out how much the grove is each month?